Kawasaki comes with a surprise at EICMA (Esposizione Internazionale Ciclo Motociclo e Accessori), a Motorcycle Show in Milan with its newest offerings in sports bikes – Kawasaki Ninja 250SL and Z250 SL. This Ninja 250SL was showcased along with Ninja Z250SL on 4th November 2014. 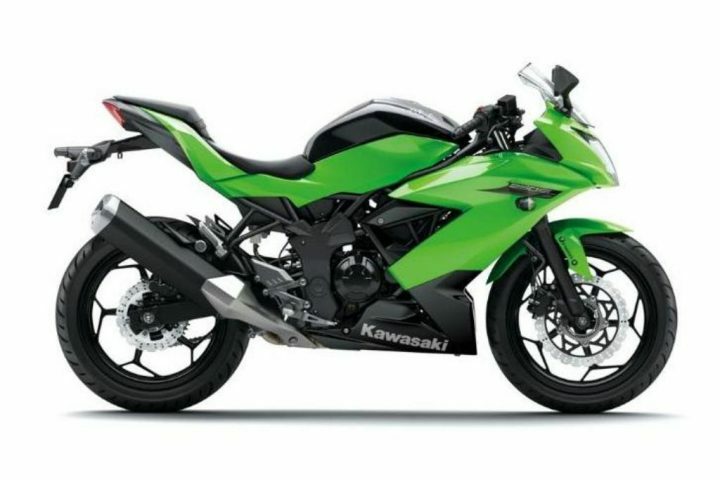 The two sports bikes from Kawasaki are essentially the versions of the same bike and come at an affordable price as compared to Ninja 300 counterparts. While one of the versions is faired, other is unfaired. These bikes have already been launched in Asian market earlier this year in February but it was not known at that time that the company is moving towards European markets as well. These bikes target the sports enthusiasts young generation. The Ninja 250SL is faired version of naked Ninja Z250SL. Technically, both the versions have similar technical specifications. Both the bikes come with a 249 cc liquid-cooled 4-stroke single-cylinder fuel injected engine producing 28 PS(27.6 bhp) at 9700 rpm and 22.6 Nm peak torque along with 6-speed transmission and electric start. These bikes have a steel trellis frame to provide nimble handling. These bikes are based on a tube diamond frame with 37 mm telescopic forks at the front and Uni-Trak suspension at the rear to deliver a smooth ride. On the other hand, stopping power comes from 290 mm disc brakes in the front, 220 mm in the rear with dual-piston caliper. Fuel capacity is 11 litres. With 1935 mm length of both the bikes, the Ninja 250SL is bit taller at 1075 mm height(Z250SL is 1015 mm) with 165 mm ground clearance compared to Z250SL’s 180 mm, with 1330 mm wheelbase for both. This bike comes with ABS model option that features the world’s smallest ABS unit. Ninja 250SL weighs 151 kg (152 kg for ABS model) while Z250Sl weighs 148 kg( 150 kg for ABS model). They are less powerful alternatives than Ninja 300. The competitors of these bikes include Honda CBR200R, RC 200 and KTM Duke 200. Both the naked and faired motorcycles come with a sporty and compact look, giving competitive performance, light weight, nimble handling with expected price around 4000 pounds in Europe. Ninja Z250Sl will be available in two color options green and black while 250Sl will be available in green and black or white and black. Sales are expected to commence in Europe in 2015.